To ensure clients keep training you must highlight their progress and link it to their actions. Here we explain why this is critical for all clients, especially those that have just started training. When you monitor and support your clients well then progress reviews are a great tool to celebrate their success. Reviews assist you to work out factors that have helped or hindered, and to make sure that you ‘concrete in’ those factors that helped and work to reduce or eliminate those factors that hindered the accomplishment of your clients’ goals. Progress reviews give you a formal opportunity to dig around with a client and work out why the training approach is working and/or what could be improved. By far this is one of the most valuable uses of your time. These formal reviews are ‘pit stops’ along the way to success and should be used as a way to refresh the focus and motivation of the client and launch them merrily into the next month or phase of their training. Our surveying of personal training clients has shown that planning and support are one of the main areas clients thought their trainers could improve on. Basically, if you didn’t know how well you’d done, why things were working for you, how to improve your results and continue to adhere, then there is a much greater chance you would drop out of your exercise plan. Progress reviews work to eliminate as much of that risk as possible and, at the same time, provide a client with a very strong perspective on what is going on and how much progress they have truly made! 3. Make sure the client understands what to repeat and what to rinse out (repeat factors that helped, in fact work to make sure they will always happen. Rinse out/eliminate factors that hinder attendance and/or adherence). 4. 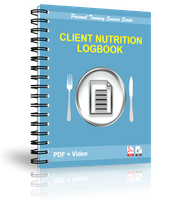 Make sure the client understands what their next training month will look like and agree to the implementation of any changes in what they do and what you are doing to support them. The effect of not addressing barriers with your client is that the barriers remain and quickly interfere with attendance. And once the client’s initially high motivation starts to drop (as it typically does) it will require more and more effort to overcome those barriers. For your client to keep attending they will either have to continue to be highly motivated and determined, or you will need to provide increasingly high levels of continued support, or they will drop out. By addressing the barriers clients have to exercise, their attendance can be maintained when their initial motivation levels drop. The results will follow once the behaviour is established. Notice that there has been no increase in the support provided to the client, the support has simply been focused on the right things (addressing barriers) at the right time (the initial 4-6 weeks when focusing on building sustainable habits). 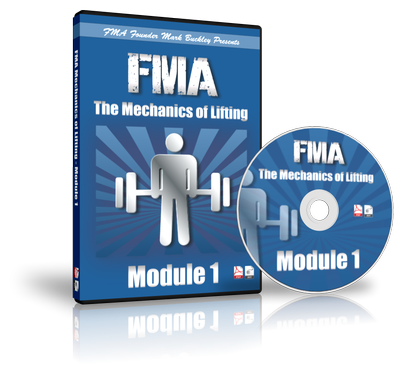 Research conducted in the United Kingdom by the Fitness Industry Association (Winning the Retention Battle, 2002) suggests that low frequency fitness club users who increase their usage between months one and three also increase their annual club retention rate. When should a progress review be done? We recommend monthly initially. Your new clients are typically sedentary and will make a lot of progress in just their first four weeks. They also need monitoring and support for that month, but knowing that in four weeks there is a more formal review helps immensely to keep them focused. Remember, deadlines create urgency. Targets create focus. Seeing progress creates further motivation. Once the training behaviour and quality is established you can stretch the review cycle to six or eight weeks. Longer than that and you can run the risk of the client getting bored or ‘tailing off’ – but if you continue to monitor and support you will find most of your personal training clients will cope well with six week reviews. A word of warning, if a client hasn’t made any progress then typically all that is required is monitoring and support. Unless you want to shock them, a full review of progress where there is none is definitely de-motivating. If your client isn’t training well/consistently, then you should pick it up within days and action the intervention strategy you established in the clients initial training plan. Don’t use client progress reviews to tell clients off. The reality is that the horse has bolted and you’ve missed a key opportunity to help them earlier on. Finally, make sure you use fitness testing that is valid, reliable, specific and sensitive. If you don’t you are going to get false-positives (improvements that aren’t there), or false-negatives (regressions that aren’t true). Learn how testing is done properly and stick to it to reduce any chance of errors in results (check out the fitness testing folder at ptdirect.com). What is done when reviewing client progress? How do you get good at reviewing progress with clients? Practise! It’s a great process to go through with your own training. This gives you insight into the factors that help and hinder your training and often that perspective is all you need to truly understand what reviews are centred on. As you use reviews with clients they will also become aware of the type of thinking that is required to make exercise easier and more productive for them so always use reviews regularly. Is there a progress review template we can download? ?